Wolf and I work hard at lowering our energy and carbon footprints but we know what we’re doing is merely a drop in the bucket. Lots of humans have to get on board in order for our efforts — individually and collectively — to make a difference. That’s why it’s so easy to fall into the Green Trap. The Green Trap is when you look at the surface of a green technology and think you’re gonna save millions in money and the environment but in reality, the technology is incredibly detrimental to landscape. Northern Pass is exactly that: bring hydro-power from Quebec to the Boston area. But once you delve deeper into the murky water, you realize Northern Pass is a huge snare in the Green Trap. Northern Pass is a 180 mile project proposed by Public Service of New Hampshire to bring hydro power to the Boston from Quebec. The project will widen the existing power line corridor through New Hampshire and add 40 miles of previously uncut woodlands. Over 1000 towers, up to 140 feet (twice the height of the trees), will replace the telephone poles (the height of the trees) already in existence. 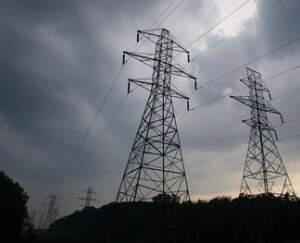 The electricity is bound for Boston and Hartford and potentially New York City. Those energy markets capture billions of dollars and HydroQuebec (Quebec) and Northeast Utilities (Boston) want some of those profits. Northeast Utilities, PSNH’s parent company, is already salivating. Recently they consumed NSTAR (Connecticut) as a way to eliminate all the competition in New England. So the money made at NH’s expense won’t be kept in our state but sent out to a foreign nation and to another US state. Forty miles of the proposed corridor will bisect the White Mountain National Forest, affecting the Appalachain Trail. The rest of the corridor will interrupt ways of life for farmers, foresters, and wildlife. It’ll pass through yards, replace homes, and create significant health hazards for the billions of microorganisms and thousands of humans who live in the path of Northern Pass. It is, in short, New Hampshire’s Keystone XL. There has been lots of opposition to Northern Pass in New Hampshire’s North Country since PSNH first announced the project last year. Knowledge of the project is sparse once you leave the pristine woods of the North Country and travel to the southern, western, or eastern parts of the state and even sparser once you leave New Hampshire. However, the message is getting out through Hands Across NH, the Conservation Law Foundation, Live Free or Fry, No Northern Pass, and the Community Environmental Legal Defense Fund. Not to leave Canada out, there is significant opposition to HydroQuebec in Quebec and the surrounding areas including Alliance Romaine and Chercher le courant (Seeking the Current) a documentary made about the Romaine River and the damage that was inflicted upon the landscape when it was dammed. So please take a minute to look at the map of the area affected then contact President Obama and the Department of Energy to oppose this project. Lets start solving our energy needs on a local level, preserving our landscapes and ways of life, and say no to corporate profits at the expense of human and environmental needs. Follow the opposition to Northern Pass on twitter: @nonorthernpass1 @handsacrossnh and the web No Northern Pass, Live Free or Fry and Hands Across NH.